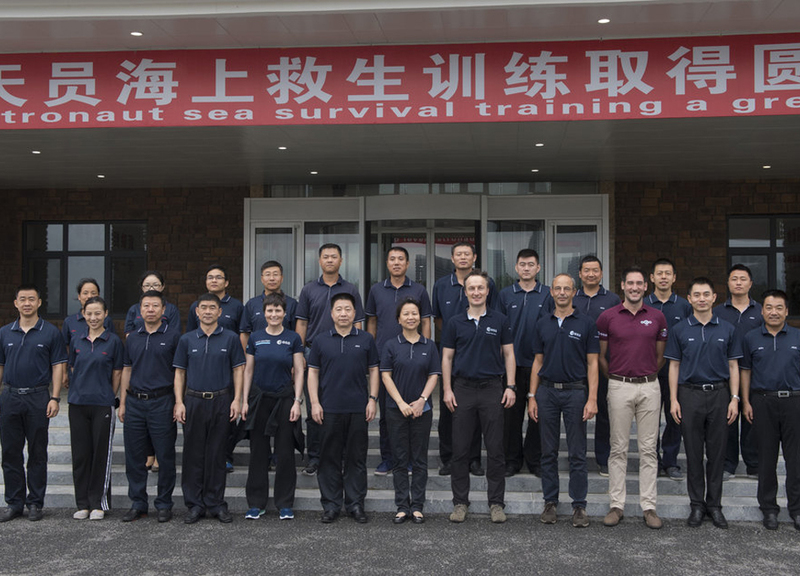 ESA astronauts Matthias Maurer and Samantha Cristoforetti joined 16 Chinese astronauts in August 2017 for nine days of sea survival training off China's coastal city of Yantai. The course was organised by the Astronaut Center of China in cooperation with the Ministry of Transport's Beihai Rescue Bureau. Returning from space, astronauts need to be prepared for any eventuality - including landing in water. Sea survival is a staple of all astronaut training but this is the first time with non-Chinese participants.